ASUP allocates money to clubs and organizations through several different processes. Each semester, the ASUP Financial Management Board (appointed by the ASUP Director of Finance) constructs a proposed budget based upon the current Finance Committee Policy and interviews requesting clubs and organizations. It is the goal of the Financial Management Board to create a proposed budget that will maximize opportunities for student involvement, support as many clubs & organizations as possible, and only fund activities that will actually happen and be successful. Every enrolled student at UP is an Associated Student of the University of Portland (ASUP). 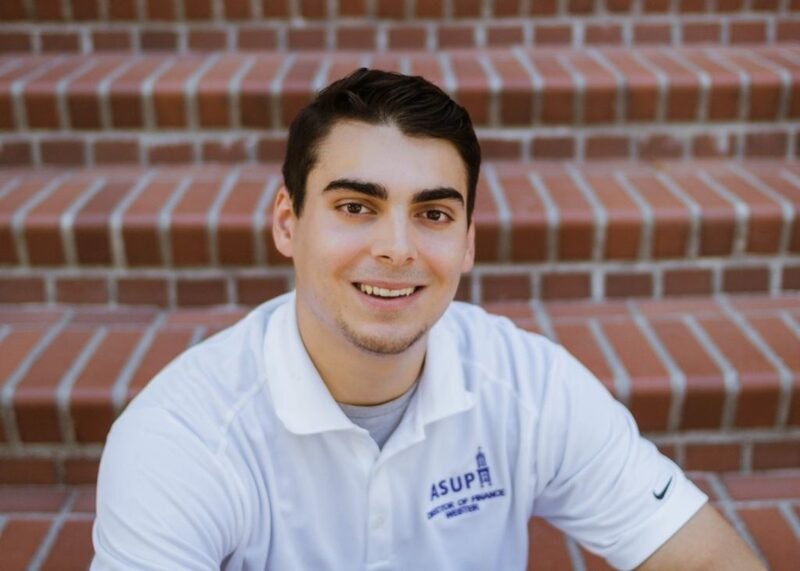 As an organization, ASUP exists to provide an organization that represents the needs and interests of students, to develop extracurricular activities, and to foster the recognition of students’ rights and responsibilities. WHAT GROUPS AND SERVICES ARE IN ASUP? WHO IS THE ASUP SENATE? The Senate is a body of students who represent every full-time undergraduate at the University of Portland. It is a legislative body made up of elected representatives from each class and school. WHO IS THE ASUP EXEC BOARD? The Executive Board includes the ASUP President, Vice President, CPB Director, Director of Finance, Director of Communication, and Speaker of the Senate. WHY IS THERE A BUDGET? The ASUP budget funds all ASUP services, CPB, student clubs, and organizations. Every undergraduate student at the University contribute a Student Activity Fee of $95 per semester. This money generates the ASUP Budget. The Financial Management Board (FMB) drafts the ASUP budget. FMB is comprised of 9 members and chaired by the Director of Finance. Of the 8 FMB members, there is one CPB rep, one Club rep, and one Senate rep.
WHO IS ON FMB THIS YEAR? HOW DOES FMB ALLOCATE MONEY? Any UP club or organization can request money from ASUP. Each semester, FMB meets with every club and organization that requests funding after the club or organization submits their next semester budget in Excel format. Clubs and organizations rank line items in order of priority. WHAT HAPPENS AFTER THE CLUB INTERVIEWS? Once meetings with clubs have concluded, FMB makes a set of standards that allocates a certain amount for specific common items that recur in many club budgets such as memberships, referees, plane flights. Once money is allocated based on those standards, FMB reviews all other budget requests and grants money based on the merit and explanation given by those clubs in their meeting. Key points taken into consideration in these meetings include: membership, events, past spending, student/campus benefit, priority, fundraising, and attendance in the FMB meeting. DOES FMB ALLOCATE ALL POSSIBLE MONIES TO CLUBS AND ORGANIZATIONS? No, FMB sets aside an amount of money called the “Senate Discretionary.” The Senate can allocate this money to clubs who appeal for more funding after the FMB allocation process. FMB also sets aside money for the Opportunity Grant, the New Club Fund, and the Executive Board Discretionary. LAST FALL, HOW MANY CLUBS / ORGANIZATIONS APPLIED FOR SPRING 2018 FUNDING? Over 90 different clubs and organization applied for funding last fall. FMB met with each one. LAST FALL, HOW MUCH MONEY DID CLUBS / ORGANIZATIONS REQUEST? LAST FALL, HOW MUCH MONEY DID FMB ALLOCATE? IS THE BUDGET THAT FMB PROPOSES PUBLIC? Yes, after FMB proposes the budget, the budget is then sent to each club and to the Senate. Each club has an opportunity to petition to the Senate for additional funding. IS THE PASSED BUDGET PUBLIC? Yes, after the Senate passes the budget, the budget is sent to each club and posted on the ASUP website. The current Spring 2018 budget can be found here. WHO PASSES THE FMB BUDGET? Each semester, the Senate passes the budget after a three-week budgeting process. In that budgeting process, Senate reviews the budget proposed by FMB and listens to petitions from clubs for extra funding. Senate meets in the ASUP office located in St. Mary’s. Each Senator also has two office hours a week in St. Mary’s. Senate meets every Monday at 4:30pm in St. Mary’s. The meetings are open to the student body and everything discussed in the meeting is information for the student body. IF FMB MAKES THE BUDGET AND SENATE PASSES THE BUGET, HOW IS THE EXECUTIVE BOARD INVOLVED? Other than the Director of Finance who chairs FMB, the Executive Board has no role in drafting and passing ASUP budgets. WHY ARE ASUP REPRESENATATIVES PAID? As an organization dedicated to serving the interests of an increasingly diverse student body, ASUP strives to create opportunities for involvement among historically underrepresented socioeconomic groups. Before the advent of volunteer stipends, those who depended on on-campus employment to help pay for living expenses simply couldn’t be a part of ASUP. Students had to choose between keeping a job to pay for tuition and devoting time to serve their peers. With the addition of volunteer stipends, we hope to see more socioeconomic diversity within ASUP, as we aim to represent the entirety of a diverse student body. HOW MUCH ARE ASUP SENATORS COMPENSATED? ASUP Senators are compensated a volunteer stipend of $550 per semester. HOW MUCH ARE EXECUTIVE BOARD MEMBERS COMPENSATED? ASUP Executive Board members are compensated a volunteer stipend of$3,500 per semester. WERE ASUP REPRESENTATIVES COMPENSATED IN THE PAST? ARE ASUP REPRESENTATIVES PAID HOURLY? No, ASUP representatives are paid a volunteer stipend. Each representative is compensated for a role, not the amount of time spent doing that role. DOES ASUP CONTROL THE WAGES OF EVERY UNIVERSITY OF PORTLAND STUDENT WORKER? No, ASUP (through FMB) controls only the stipends of the Executive Board, Senate, and ASUP Services. ARE ASUP ELECTED REPRESENTATIVES STUDENT WORKERS? No, ASUP Senators and Executive Board members are not hired by the University of Portland. Instead, Senators and Executive Board members are chosen by you—the students of this school—to serve you. DOES ASUP HIRE STUDENT WORKERS? Yes, ASUP and the Vice President hire student workers for ASUP Services. Some of these positions include ASUP Films Director, Pilots Express Director, Pilots Express driver, Espresso UP Director, and ADvantage designer. Contact Vice President, Michael Gallagher, for ASUP Service opportunities. HOW CAN I GET INVOLVED IN ASUP? Contact the Speaker of the Senate, Brady Boos, to learn more about Senate Committee opportunities. We’d love to hear from you! Come visit us in the ASUP Office in St. Mary’s, attend an ASUP Senate Meeting (Mondays at 4:30PM in St. Mary’s), or send us an email.